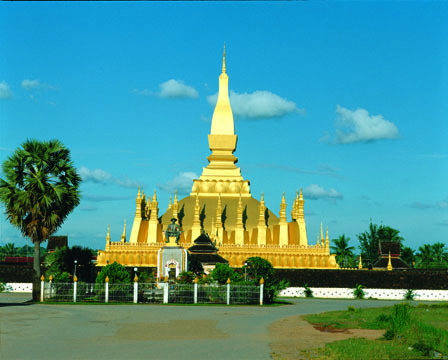 Vientiane Capital is the home to the most significant national monument in Laos : That Luang (Great Stupa), which is the symbol of Lao sovereignty and an icon of Buddhism in Laos. Of the many beautiful Wats in Vientiane, a visit to Wat Sisaket is a must; built in 1818, this is one of the oldest temples in Vientiane. Other Buddhist holy places are Wat Ong Teu Mahavihan, known for its 16th century bronze Buddha sheltered by a carved wooden masterpiece, and Wat Si Muang, The site of the lak meuang or pillar-stone of Vientiane. The Wat Si Muang is the home to the guardian spirit of the city. Hor Pha Keo, across the street from Wat Sisaket houses a beautiful collection of Buddha statues, including traditional Lao style of the "Calling for Rain" and "Offering Protection". Spend a morning in the Lao National Museum, which displays an interesting mixture of revolutionary and contemporary exhibitions. 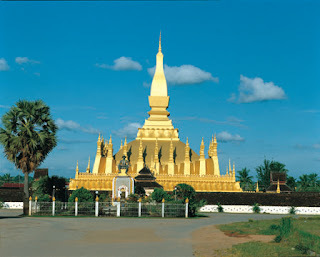 The main sights in Vientiane are only a short walk or bicycle ride from most hotels. Wat Xieng Khouan, better known as the Buddha Park should not be missed: take a tuk-tuk to this unique park that includes Buddhist and Hindu. Shopping for handicrafts is easy in Vientiane Capital; visit the Talat Sao (morning market) for a wide range of colourful textiles including silks, wall-hangings and other decorative pieces. For very fine handicrafts, try one of the many upscale galleries in city center. Keep your eyes open for traditional wood carvings, mulberry paper and a variety of basketry made from bamboo and rattan.